The Tricopharming R&D project has received funding from Neotec (CDTI) and MINECO. Matias-Hernandez et al., 2017. Matias-Hernandez L., Jiang W., Yang K., Tang K., Brodelius P., Pelaz S. AaMYB1 and its orthologue AtMYB61 affect terpene metabolism and trichome development in Artemisia annua and Arabidopsis thaliana. Plant Journal (2017), 90(3):520-534. Pulice et al., 2016. 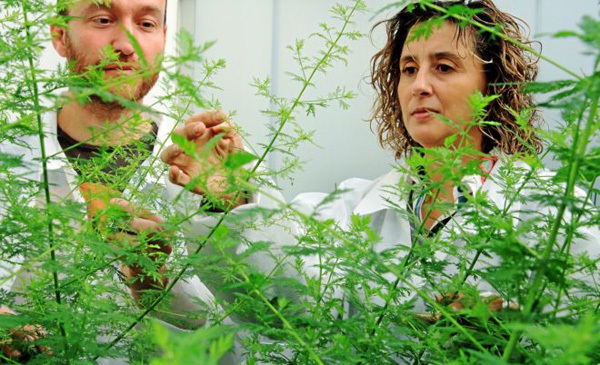 Pulice G., Pelaz S., Matias-Hernandez L. Molecular Farming in Artemisia annua, a promising approach to improve Anti-malarial drug production. Frontiers in Plant Science (2016), 18:7;329.